The game is quite intuative, but I did die a number of times early on, so if you want some guidance or want to save some time early on in the game, here is my guide. Map (Bases, Shelters, Upgrades and More). Mine Locations and How to Mine Ores. Basic Base and Crafting Guide. Farming Metal Scraps and Components. You start early in the morning by a Basic Shelter. You should be safe here for a while, but you need to get going as you need to find food, drink and shelter before nightfall. Days start at 05:00 and night starts at 19:30. During night the Infected wonder around. The Infected wonder around slowly until they notice you, then they run quickly to you and with a couple of swipes you are dead! So, until you are armed and experienced stay in a secure place with all external doors closed. Another time the Infected appear is during the Mist. The Mist can appear at anytime during the day and lasts for an hour or two. Again, until you are armed and experienced stay in a secure place with all external doors closed. If you get killed, you have two options. 1: to lose many of your items and be revived at a safe place, or 2: Quit the game. If you Quit the game you can reload, "Continue”, from the last Save. So, turn on Auto-Save and manually save at good points. Also avoid the Bears until you are experienced and prepared, they will quickly kill you. If you hear a Bear running, run the other way. You should be able to keep ahead of it and it will give up chasing you. The last thing to avoid early in the game is Bandit Camps. If you get to close they will see you and kill you. There is normally around 4 Bandits per camp and they have automatic rifles with unlimited bullets! There is currently no map available in the game, however one is available from the Community Guide list. Drink: Bottles of water are the best, a 2L bottle will last a couple of days and can be refilled. Cans of Cola are quite common and can nearly fill the Thirst bar. The red coloured cans decay over a couple of weeks, but the green cans seem to last forever. Only drink Safe water, you will get Unsafe water from lakes. Food: You may find a few Berries on the ground, but they are almost useless, don’t bother collecting them. There are a few Chocolate Bars, but they don’t relieve hunger much and deteriorate quite quickly. Cans of Beef and cans of Tomatoe Sauce are great, they relieve a good amount of hunger and last do not decay for months. There are also cans of Fruit which relieve some Hunger and Thirst, they also don’t decay for a long time. Later in the game you will kill Bears and cook the meat. Many items decay over time. When the stated percentage reaches 0% they are removed from play. Tools and Weapons decay with use. Clothing decays when it gets damaged in an attack against you. Tools: Axe to cut down trees (branches, bark, leaves which you will need to make other items of) make further items and to destroy a few landscape items such as children’s outdoor play things like swings, and sealed cars. The Axe needs to be in your hand to use it. Hit an item with an Axe, if a health bar appears you can continue to destroy it to gain items such as Components and Scrap Metal. You will then need a Hammer for building things (it just needs to be in your Rucksack) and a little later in the game you will need a Saw for making Wood from Logs. Stones and Branches, fill 1 slot each. You will need them to build a Campfire. Approach buildings with caution, some have a few Infected inside. Later in the game you will be able to tackle them but for now avoid any building from where you can see Infected or hear them (they sound like Golem!). They can’t go in the sun but if they discover you they will run outside for a short distance (10m?) and can quickly kill you. The Motel by the road has Infected inside but you can pillage the cars. Get to the Workshop by the side of the main road. There are cars near-by, the building is clear of Infected and it has items and a Workbench inside. Use this building as you base until you are experienced and can build a substantive base at the Whitehouse. The White house is a bit further up the road, turn left down the dirt road where the car is on its side. This house is free of Infected and has good rooms. There are plenty of trees, close to water and there is a Bear roaming the woods for meat etc later. At the Workshop collect all the items and store them in the lockers etc. You will need to build more storage later. Build two buckets at the Workbench. Then build a Water Purifier inside the Workshop. Now take the spare bucket and get water from the lake nearby, avoid the Bear! Put the Unsafe water in the Water Purifier and ignite it using Firewood, Bark and Matches. Build a Stump to make Logs into Firewood, Matches you need to find until you can make them. You will get Bark when you chop down a tree with your Axe. You can also get more Bark by chopping at a tree with a Combat Knife. Make a Water Bottle at the Workbench. After about one day the water in the Purifier will be safe to drink to fill up your water bottle. Collect more items from around the local map area but avoid the Bear and be back by nightfall. At nightfall, be inside with the door shut. Make a bed and sleep to restore Fatigue. Sleeping between 8 to 12 hours will fully restore your Fatigue bar. If you have any spare time during the night, make things such as Wood (planks). You can now refresh your water supply, but you need to find food. You probably have a Pistol and a few bullets by now so go kill a Bear. There will be a bear in the woodland across the road. You will need to shoot it in the head at least twice. Save the game before you attack! Once it is dead you can gut it with the Combat knife you should now have on you. The knife does not need to be in your hand. You can set what and how much you take and set what tool to use. I suggest taking bits for 30 minutes at a time because then you will be able to see if the Mist is forming and run for it. It takes all day to gut a Bear completely an takes up many slots. At this time, you need some meat (4 to 6) and at least 2 Guts to make a Longbow. The fat is only useful to help start fires so is not necessary currently. Back in the Workshop build a Campfire. Build a Grill over the Campfire. Later you could also build a Cooking Pot over the Fire/Grill. Light the fire and place the Bear meat on the grill. Watch it cook, it will only take a few seconds. You can take it off ready to eat when it is Medium or Well Done. I take it off at Well Done as Medium looks the same as Raw. Do not eat Raw meat, it will give you food poisoning for a day. One Bear meat will nearly fill the Hunger bar so wait until nearly empty before you eat it. Bear meat will decay completely in about 5 days. Always have 1 with you, its all the food you need for the day when you go out. Upgrade the Workbench and craft a Longbow, a Quiver and Hunting arrows as soon as you can. Put arrows into your Quiver by right clicking it and using Add Arrow. You can now stay safe and survive indefinitely. But you can go on to do 4 more things: 1. Build a full base (I suggest the Whitehouse near the lake), 2. Use cars (some o them), 3. Attack the Infected and so search more buildings, 4. Attack Bandits in their camps and so get more items and release a Hostage (3 in total). Build a full Base. Build everything, including lots of locker storage. 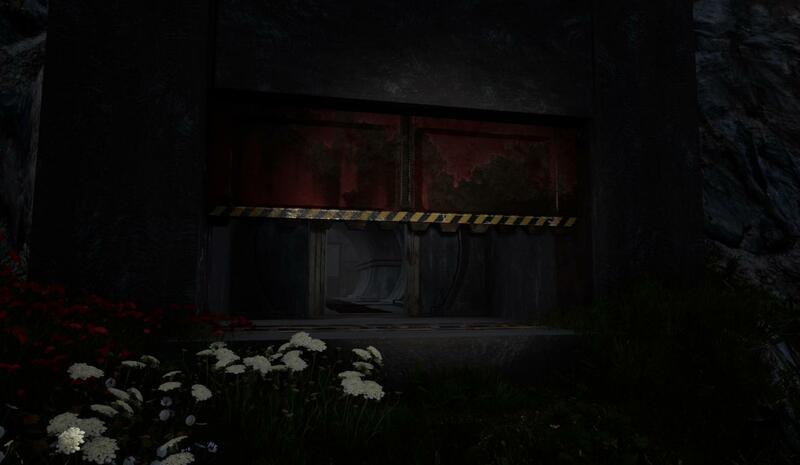 The Infected can only get in through an open door or through one of the specific windows which will be boarded up. The Infected can’t get over Livestock Fencing so consider building some around your front door and against your windows. You could build a Chicken Coup. Then you can catch Chickens by running after them, when you get very close press F to pick it up. Then carry it back and release it R into your Coup where it will lay eggs for you. You can also Harvest a dead Chicken for meat etc. Though by now you should be ok for food. You could build a Generator to power a Fridge, Power Saw and Lights, but these didn’t work properly (glitch). You could build a Wooden Wall around your Base. Be aware that trees grow back. Walls should keep out the Infected but the Hostages you rescue keep opening the Gates! I have played for more than 600 days and have never seen a Bandit away from their Base. Use cars. Take out any Engines, Wheels, Batteries and Spark Plugs from any cars you find. These items decay with use, most of them start of very worn. Select a car you wish to use and fit all the necessary parts. Estates have more storage slots. You will also need fuel. Collect fuel from cars using a Fuel can and put it in your car. You can drive around the whole map using a few litres of fuel. You use the same fuel to power the generator at you base. Check the state of the car before you drive off in the mornings, you don’t want to break down miles from anywhere! Attack Infected. Shoot them in the head with your Longbow or gun. At your base stand on your Wall or behind Livestock Fence, they normally drop an item and you can collect your ammo. At buildings have a range weapon at hand. Sometimes you can shoot them while they are inside. Sometimes you can entice them to run outside towards you. They will only run a few metres then run back inside. Sometimes you need to go inside after them, sneak in and try to get them from behind. You can collect items while aiming but best to kill them all then loot the place. 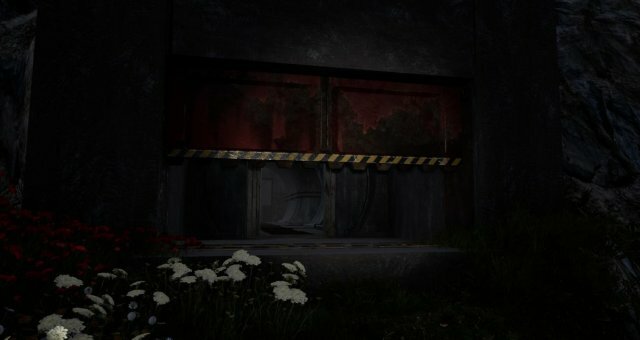 For most of the map if a building has the door close there are no Infected inside and if the building has an open door there may well be some Infected inside. In the small town (far corner of map) some infected are behind closed doors and attack you as soon as you open the door, Save and be prepared with a Shotgun! Always shoot them in the head. Infected can respawn sometime later. Attack Bandits. Save game and Sneak up to their Bases. Use stealth when possible (Knife from behind or an arrow to the head) this will prevent the other Bandits from being alarmed. When you must go in and face more than one of them switch to your Rifle. Pillage the Base. Some Bases have a Hostage. Free them and they will stay at your Base. You can equip Hostages with weapons, so they can defend your Base, and you can set them Build tasks. Once you have attacked all this there is currently nothing more to do but repeat. There is reported to be 6 Bandit Bases, but I only found Bandits at 5 of them and at the Roadblock Base they only appeared when I was in a car (glitch). Always carry 1 food and a bottle of water, a Bandage, an Axe, an American Eagle blade a Longbow, a crowbar and a Gas Can. Don’t eat uncooked meat or Unsafe water. Climb towers to find items. Use Livestock fencing to keep put Infected. As soon as Mist appears run to safety. If you can hear bird song, then it is too bright for Infected to be outside. Check your vehicle before travelling. When in a car you can’t eat, drink or use any item. Shoot the head to kill. Bears can’t get at you when you are standing on top of a car. Temperature is currently irrelevant and there is no Jacket or trousers to wear. All beds state ‘Single’ and work the same. All salted meat causes food poisoning even cooked meat. Saw Bench sometimes only produces 1 plank of Wood. Trees grow back in front of your gate, so you must chop down the tree again to drive in and out. Bears, Chickens and Bandits can suddenly disappear and reappear somewhere else. I had my whole car and boot load of items disappear once while I was in it, this was after the game seem to freeze. This only happened once.